Are you an OFW planning to buy or build house for your family in the Philippines? 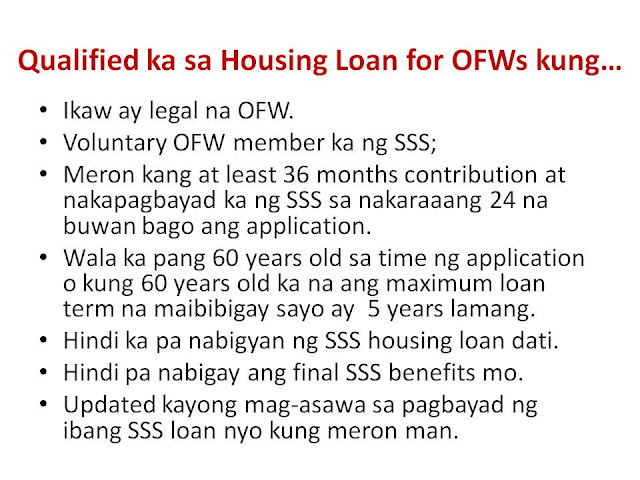 If you are an SSS member with at least 36 months contribution and active member for the past 24 months prior to your application you may qualify to apply for Direct Housing Loan Facility for OFWs - a program by the SSS to help finance the construction or the purchase of your house or house and lot. 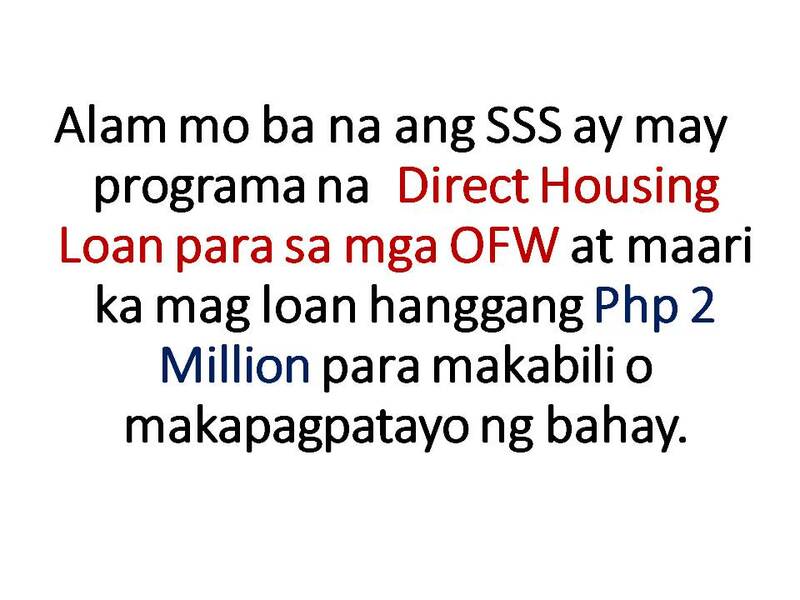 They offer Php450,000 to Php 2 million loan. Who are the eligible borrowers for this housing loan? 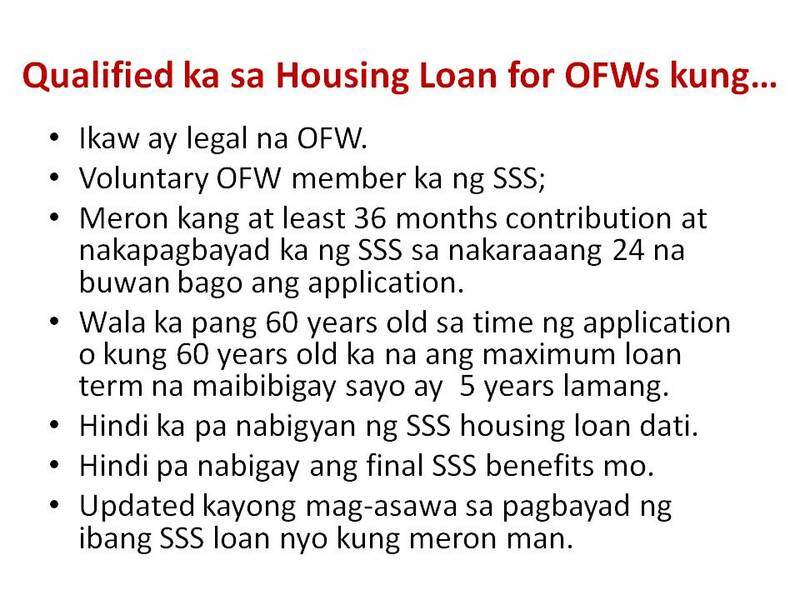 The spouses of an existing borrower may still qualify for an SSS housing loan if the loan of the existing borrower was obtained prior to the date of marriage and the loan is not delinquent. Up to P450,000.00 - 8% p.a. Over P450,000.00 up to P1,000,000.00 - 9% p.a. Over P1,000,000.00 up to P1,500,000.00 - 10% p.a. Over P1,500,000.00 up to P2,000,000.00 - 11% p.a. 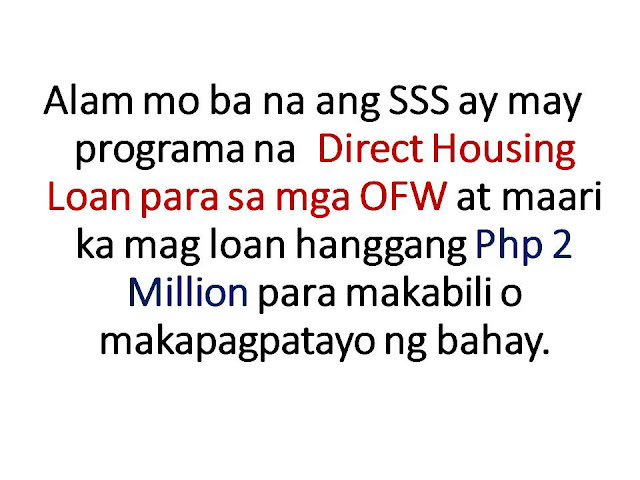 For more information about this loan you may also visit the SSS website here.